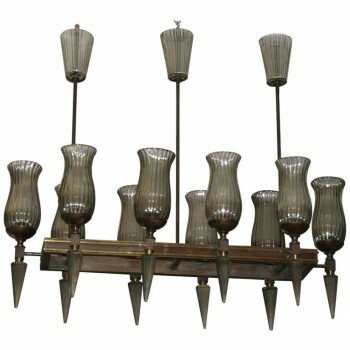 Elio Martinelli, Calotta chandelier, Martinelli Luce edition, metal, circa 1960, Italy. Measures: Height 85 cm, diameter 60 cm. (adjustable height). 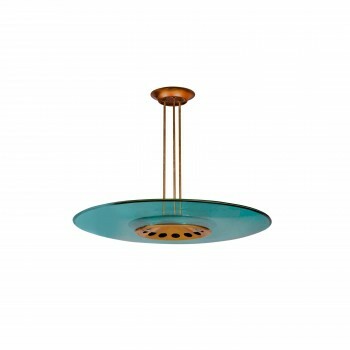 Sergio Mazza, Magnolia ceiling lamp for Quattrifolio, The white opaline glass shade can be fixed on the wall or the ceiling by a white lacquered base, circa 1971, Italy. Measures: Height 25 cm, diameter 60 cm. 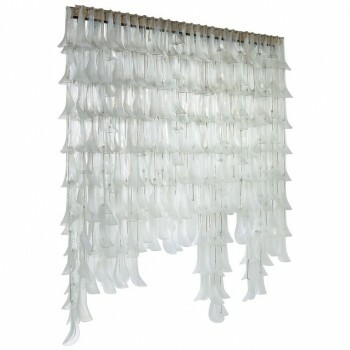 Sergio Mazza, Magnolia ceiling lamp for Quattrifolio, white opaline glass and chrome, circa 1971, Italy. Measure: Height 15 cm, diameter 25 cm. 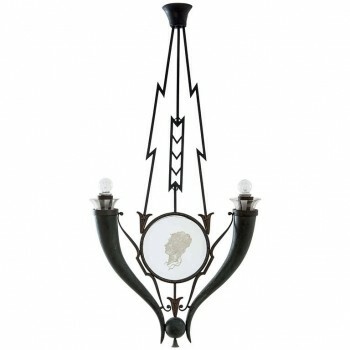 Jules Leleu and Veronese neoclassical chandelier and pair of sconces, Ten bronze arms of light and golden rushes of rectangular shape, Fluted tulips in blown glass, circa 1970, France. 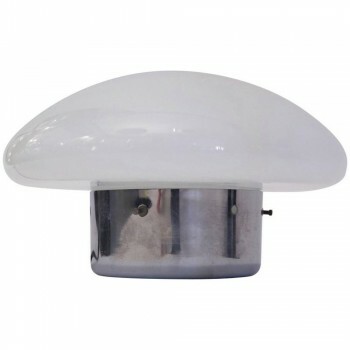 Luster Height 95 cm, width 90 cm, depth 30 cm. 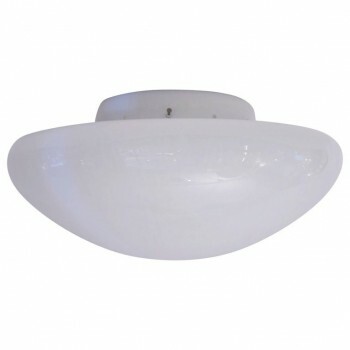 Sconces Height 30 cm, width 30 cm, depth 16 cm. 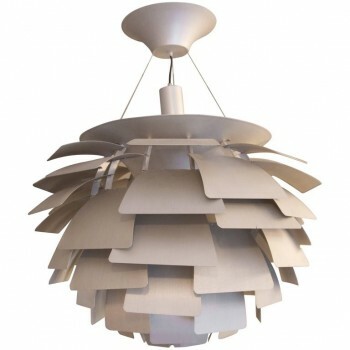 Poul Henningsen, Artichoke luster, Louis Poulsen manufacturer, Aluminium and circa 2010, Denmark. Measure: Height 90 cm, diameter 80 cm. Gio Ponti, luster, burnished metal, blown glass and silver engraved glass, Circa 1929, Italy. Measures: Height: 110 cm, width: 55 cm, depth: 10 cm. Max Ingrand (1908-1969), Suspension, Model "1508", brass and glass, Fontana Arte, Circa 1954, Italy. Height: 73 cm, diameter: 84 cm. Mazzega, important chandelier, golden metal structure, Murano glass production, circa 1970, Italy. Measure: Height 2 m, width 2 m, depth 10 cm. 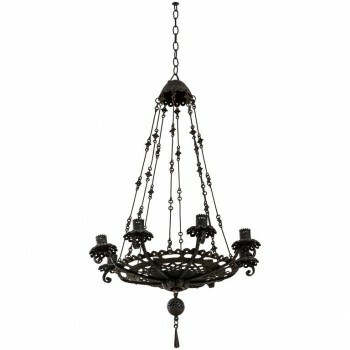 Alessandro Mazzucotelli, luster, iron, signed, circa 1900, Italy. Measures: Height 120 cm, diameter 60 cm.